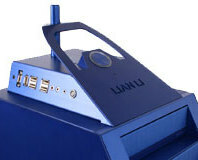 With its unique design and blue anodised aluminium build material, the Lian LI PC-888 is like no other case on the market. Limited to a production run of just 500 units, it's the height of chassis exclusivity, but is it actually a good case underneath the styling? We find out. 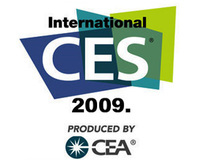 CES 2009: We catch up with Hank Chen, product manager for Lian Li's PC-888 chassis, to talk more about this new take on case design. 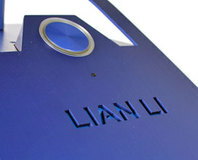 CES 2009: Lian Li has announced its new conceptual case, the PC-888, a uniquely styled blue anodized aluminium chassis.